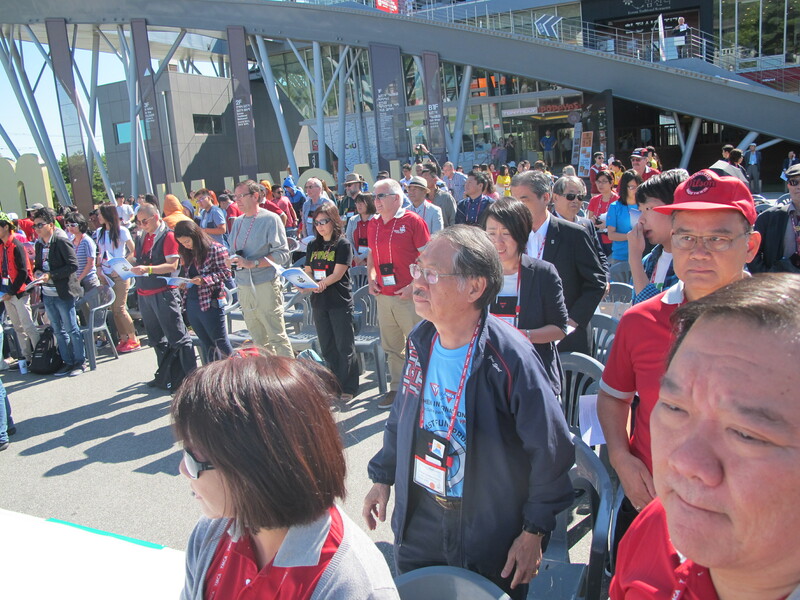 The whole APAY General Assembly was bussed early morning from Daejeun up to the border with North Korea at Imjingak. 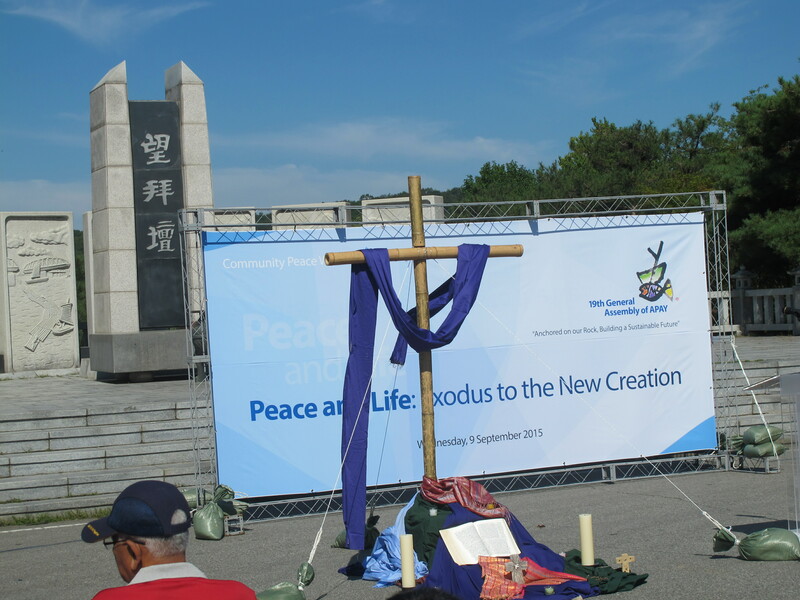 In the Demilitarized Zone (DMZ) with good view to North Korea we held the morning devotion. 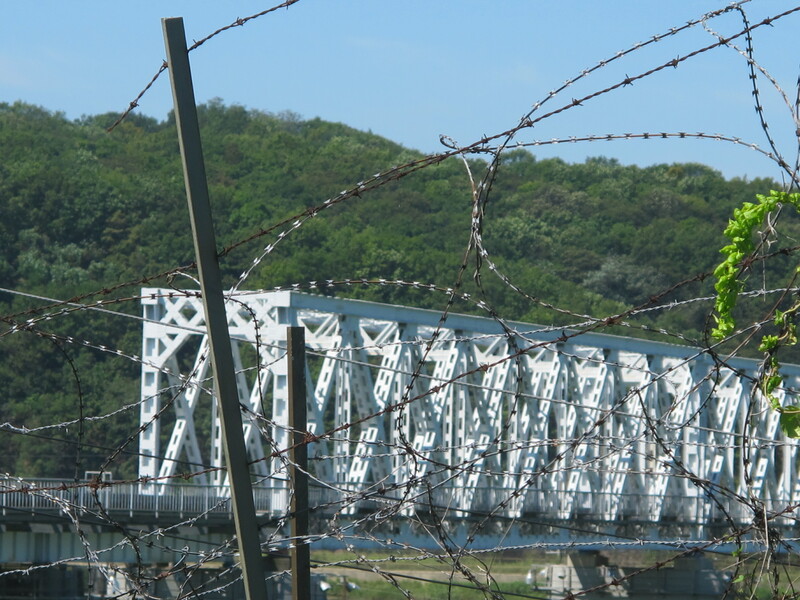 We were driving along the river Han, locally called Imjingang, along the border between North Korea and South Korea. Military installations were on both sides miles after miles, and in several of them armed soldiers on watch. 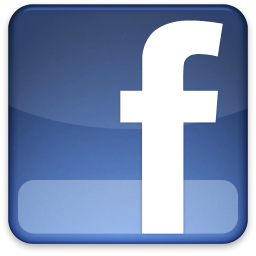 There is an armistice between the two parties for 62 years, but no peace treaty. Incidents happen regularly. 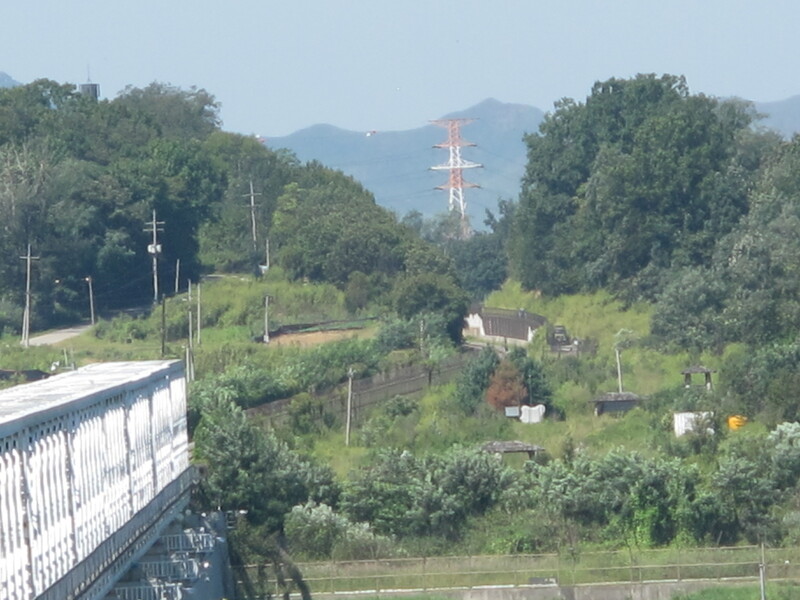 Imjingang Railroad Bridge with North Korea at the other side. This is what we could see from Imjingak, a monument and platform built after the declaration of the North-South Joint Statement. It has various facilities and the observatory deck on the roof allows you to see the civilian passage restricted line area. 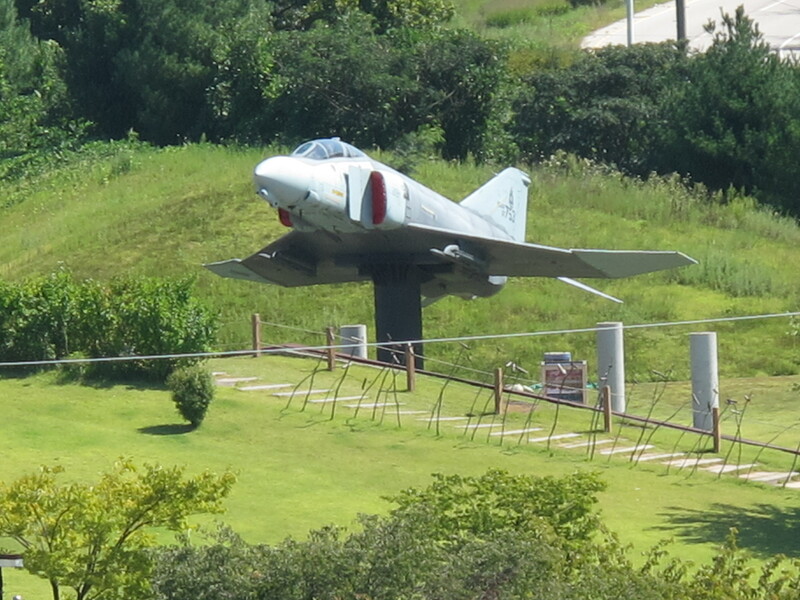 A fighter plane from the Korean war 1950-53. Bell of Peace. 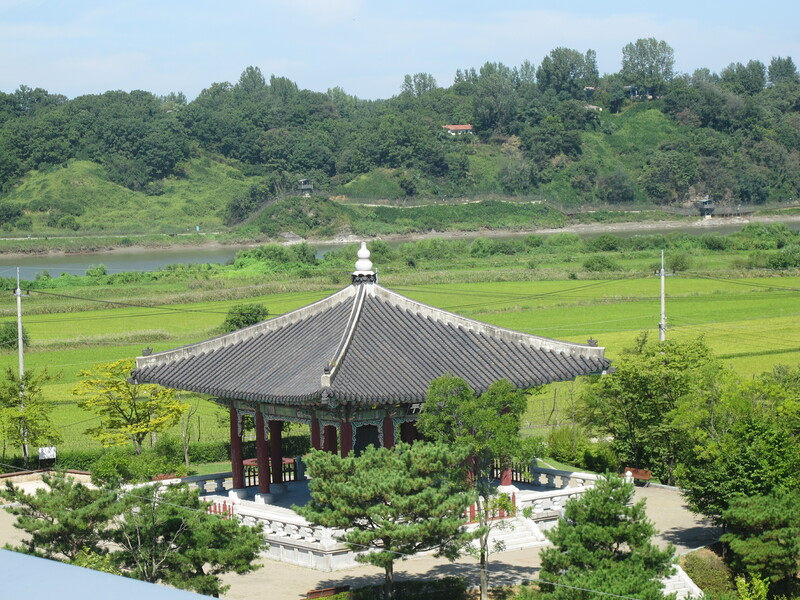 The bell represents the peace of mankind and unification of the Korean nation for the new millennium. To commemorate the 21st century, the bell weighs 21 tons and has 21 stairs. 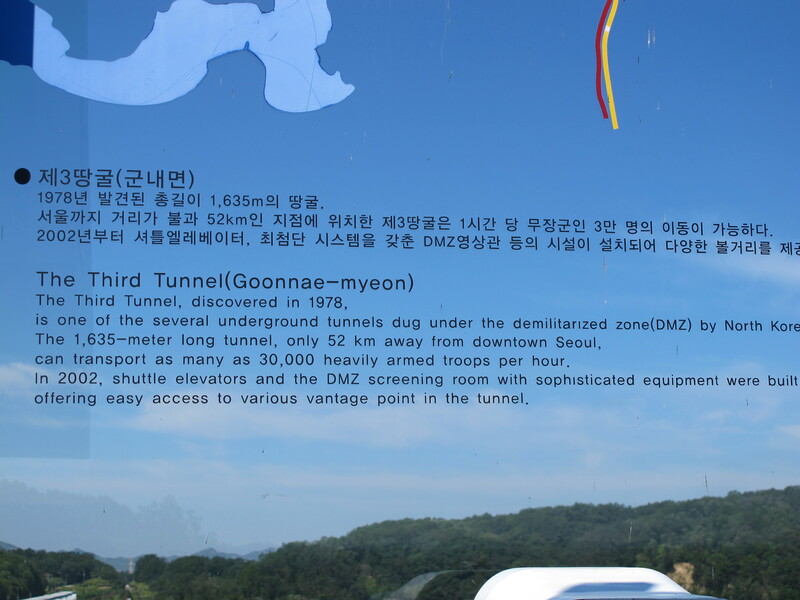 The North Koreans built tunnels underneath the DMZ, see the text on the photo. 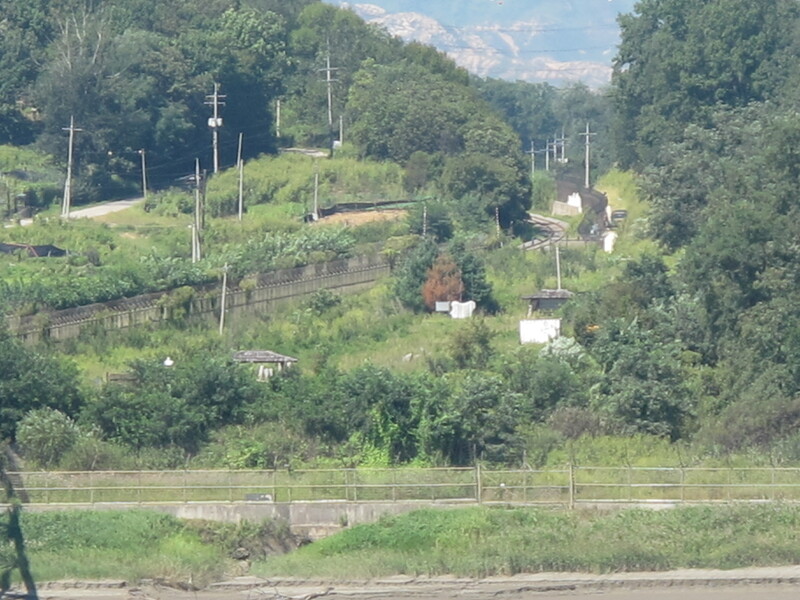 End of the railroad bridge and a view of North Korea. 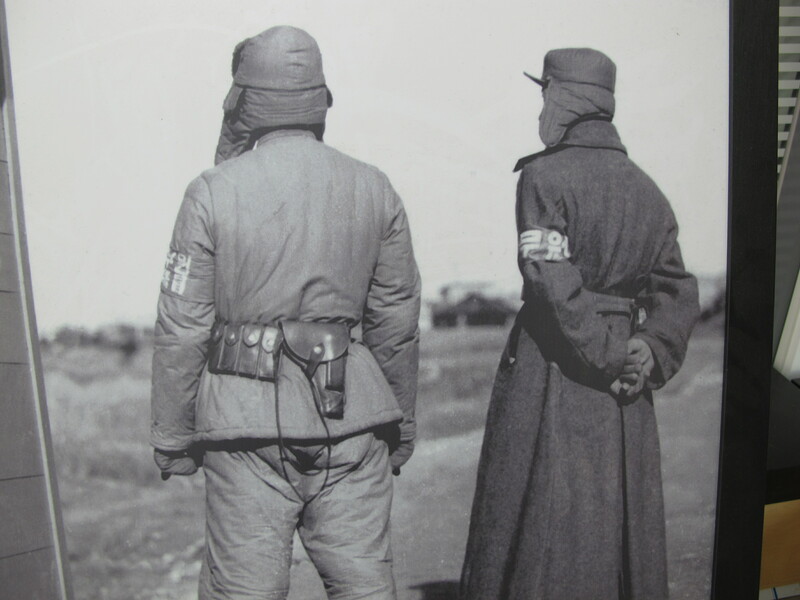 Two soldiers from the North during the was in 1950-53. 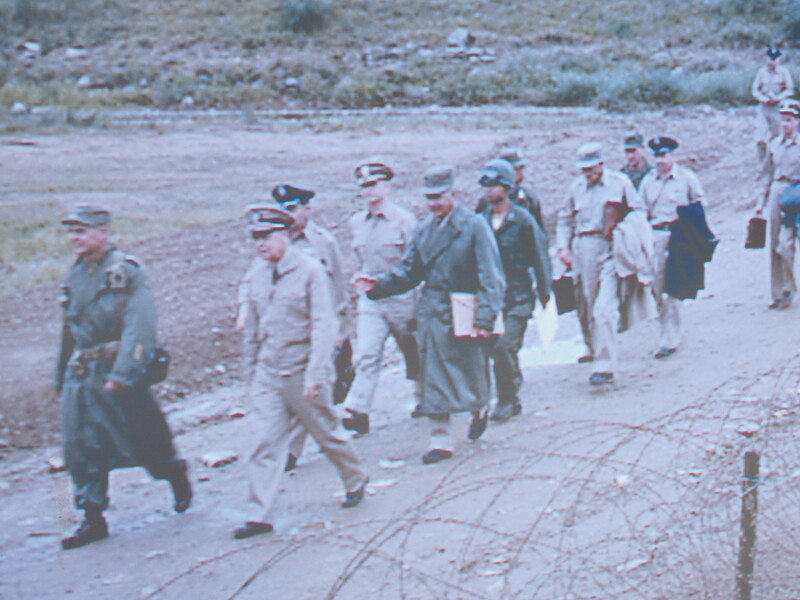 And here General McArthur arrives to Imjingak together with his officers. 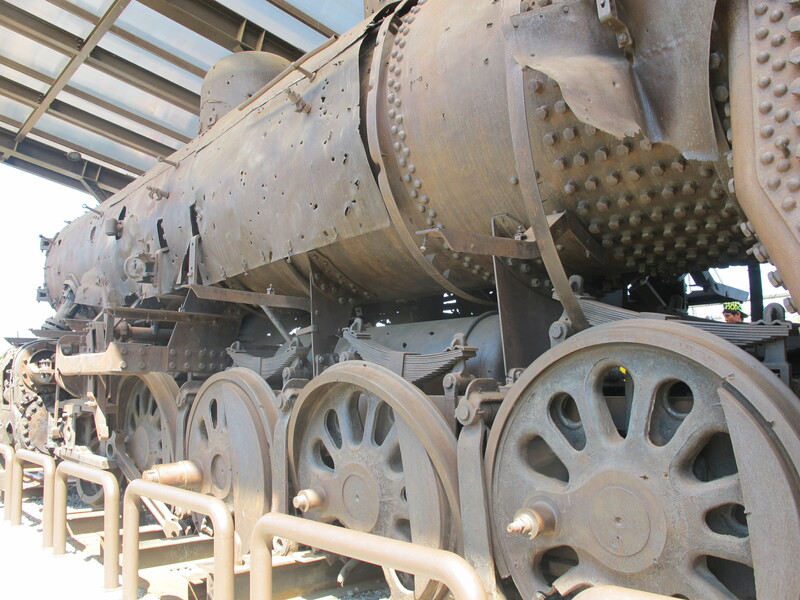 Steam Locomotive at Jangdan Station of the Gyeongui Line. 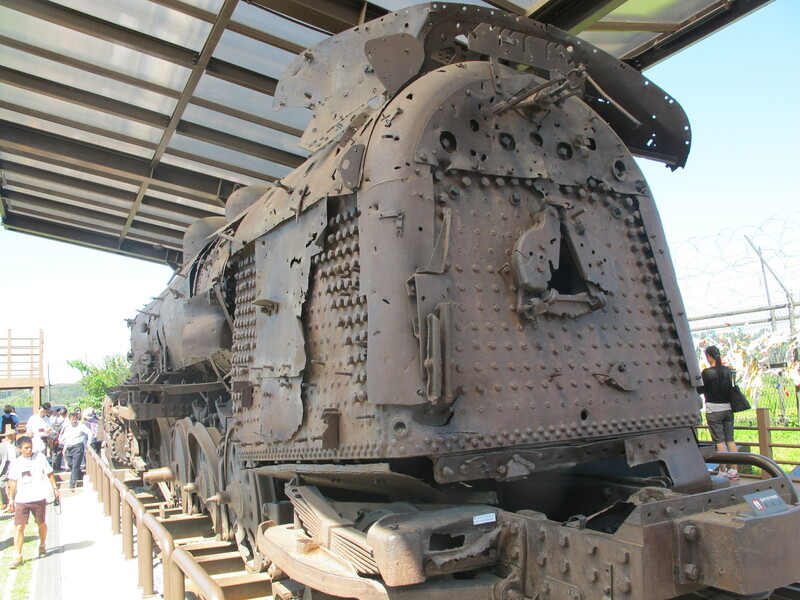 The steam locomotive is a symbol of the tragic history of the division into North and South Korea, having been left in the DMZ since it was derailed by bombs during the Korean War. Below the railroad bridge seen through barbed wire. 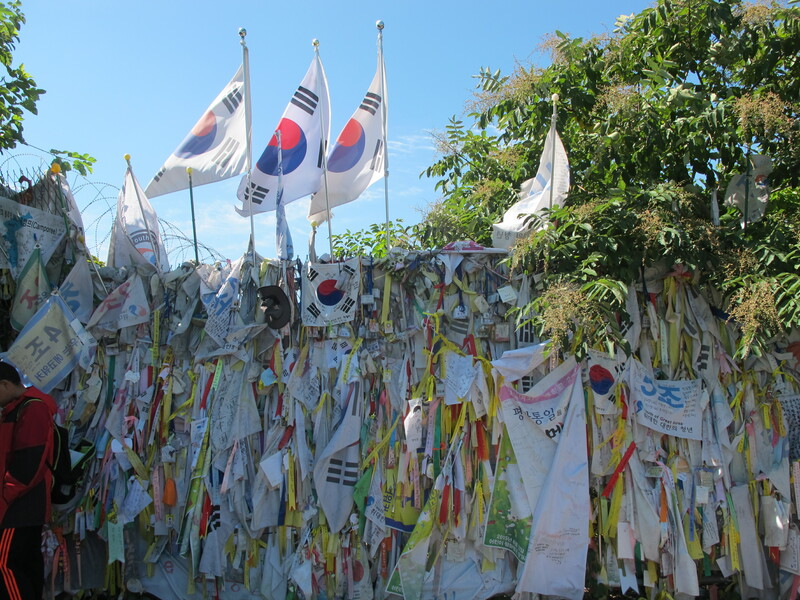 Below the South Korean flags flying on the Bridge of Freedom. The Bridge of Freedom was built to free 12773 prisoners in 1953. 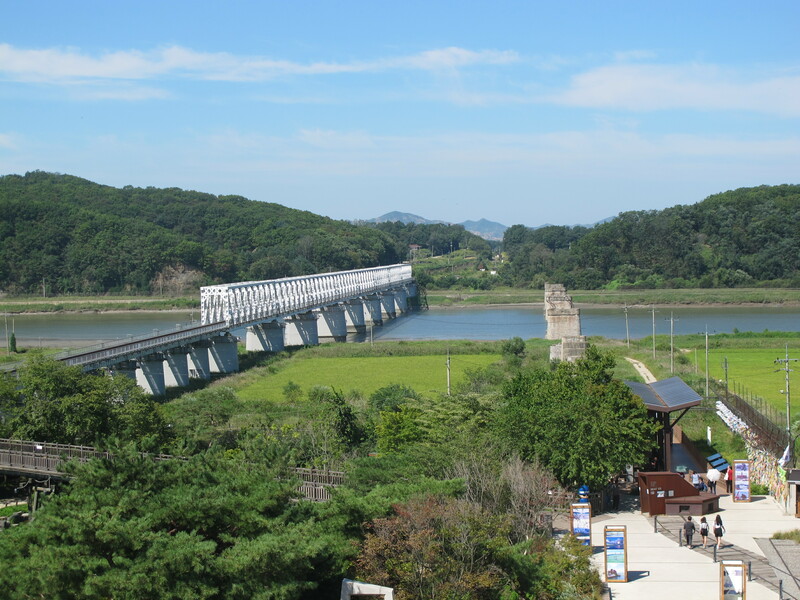 The prisoners reached the Gyeongui line bridge by car and walked across the Bridge of Freedom. On the Bridge of Freedom with friends from Japan and Hong Kong. 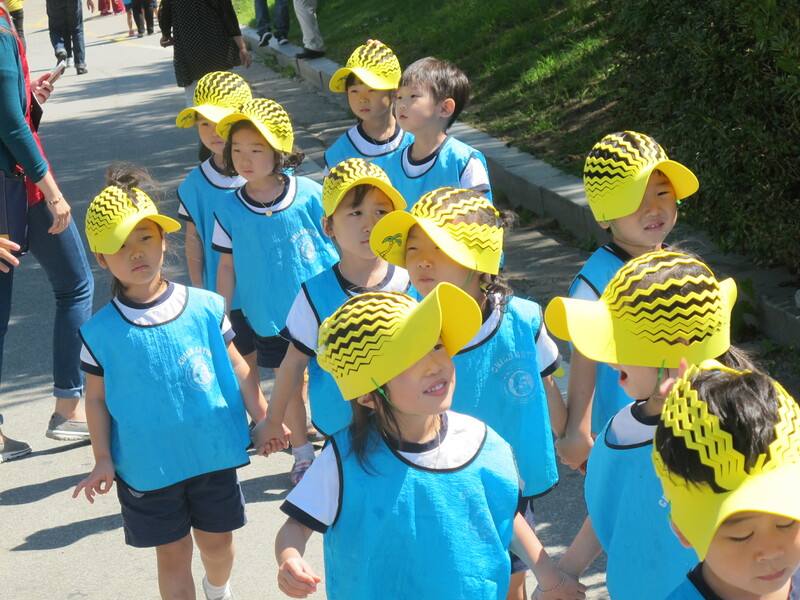 The new generation of South Korea going to visit the Bridge of Freedom. Worship Altar. The displaced people from North Korea come to Mangbaedan and cherish the memory of their ancestries on New Year’s Day. Chuseok or whenever they miss their families in North Korea, because Mangbaedan in nearer to their old home. 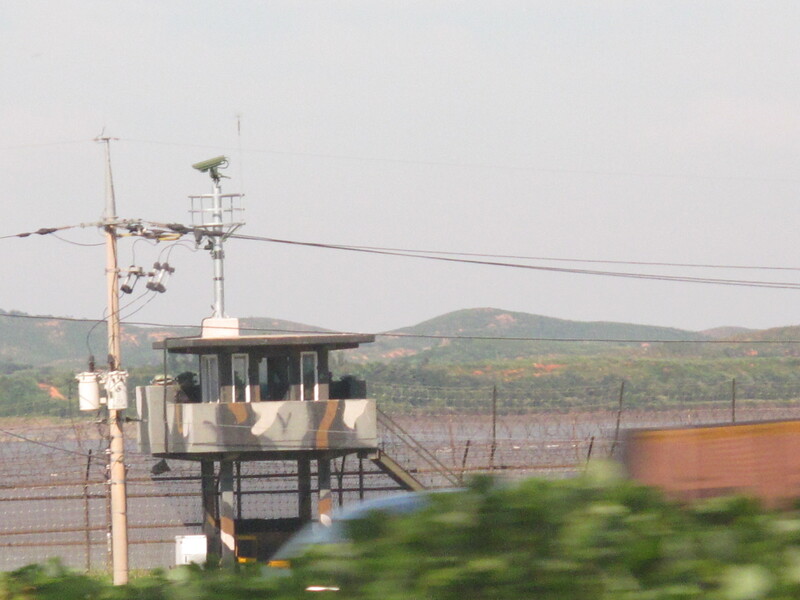 We assembled close to the Demilitarized Zone and held our morning devotion. Young people from Macau and Japan reading Bible texts. 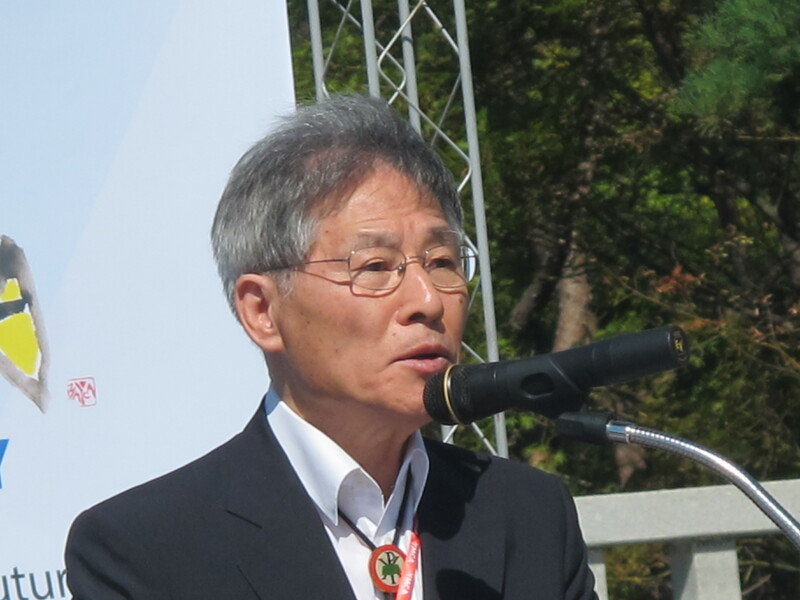 Rev Ahn, the former President of the National YMCA in Korea gave a magnificent and very strong message about peace on the Korean Peninsula, East Asia and further out. It was a moment of deep impressions, and the Bell of Peace was chiming from time to time, at the same time as we heard violent explosions from the other side of the border. 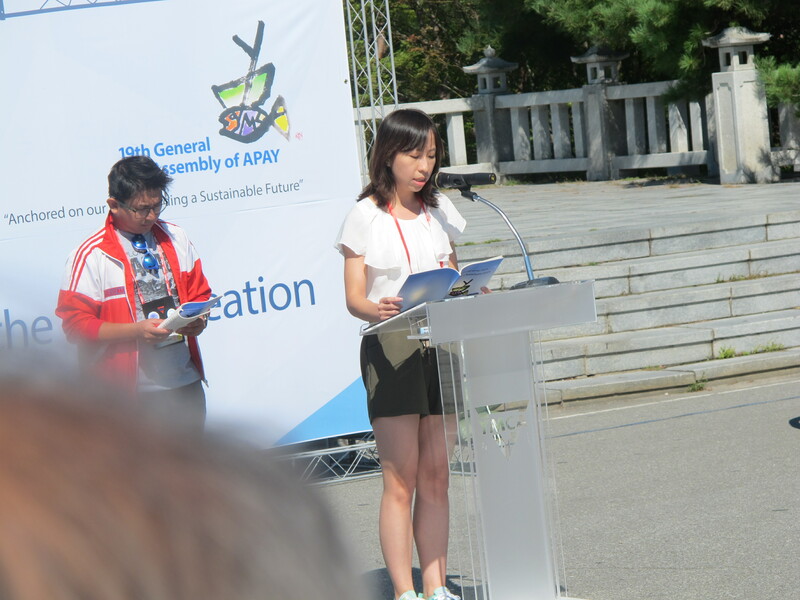 A statement on peace formulated by a pre-assembly peace conference in the DMZ was read out to the participants. Very powerful photos, and message. Great photo of you + Change Agents, on the ‘Bridge of Freedom’! Seeing that dreadful wall, reminds me of seeing the Berlin Wall, on a visit to Europe in 1980. Thank you!